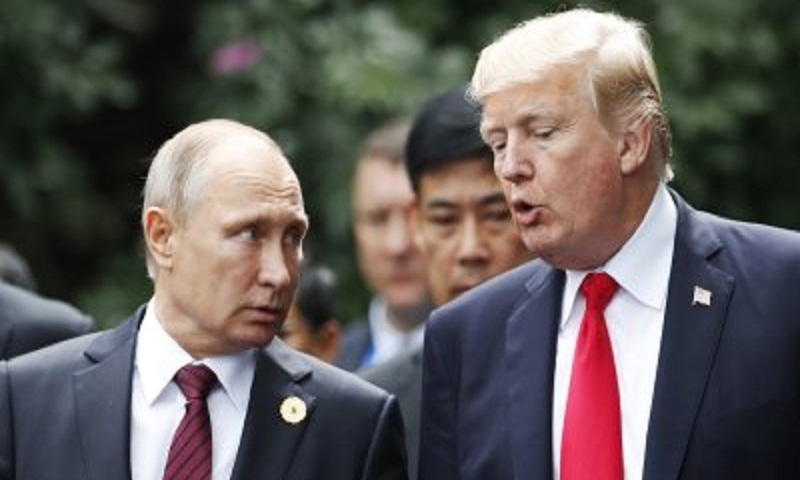 US President Donald Trump has invited Russian leader Vladimir Putin to visit the US in the autumn, his press secretary says. Sarah Sanders tweeted that discussions for the visit were already under way. Earlier Mr Trump rejected a proposal by Mr Putin that Russia be allowed to question US citizens. The two leaders held a summit in Finland on Monday but few details of what they discussed have emerged. There has been no word from Russia about a second Trump-Putin meeting. Controversy has raged over the Helsinki summit, with Mr Trump having to correct his own words from the press conference which followed it. But on Thursday Mr Trump said the meeting was a "great success" and he was looking forward to their next meeting.